House Silverspires was once the most powerful, but just as it sought to rise again, an ancient evil brought it low. Phillippe, an immortal who escaped the carnage, has a singular goal – to resurrect someone he lost. But the cost of such magic might be more than he can bear. In House Hawthorn, Madeleine the alchemist has had her addiction to angel essence savagely broken. Struggling to live on, she is forced on a perilous diplomatic mission to the underwater dragon kingdom – and finds herself in the midst of intrigues that have already caused one previous emissary to mysteriously disappear . 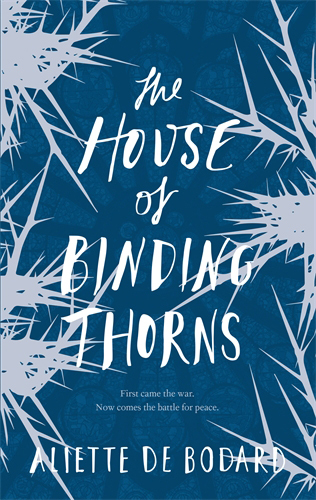 . .
Aliette de Bodard is an engineer, a writer, and a keen amateur cook. Her love of mythology and history led her to speculative fiction early on. She is the author of numerous short stories, of the Aztec noir trilogy Obsidian and Blood, and of the award-nominated On a Red Station, Drifting, a space opera based on Vietnamese culture. She lives in Paris with her family, in a flat with more computers than warm bodies.